Most of the dust, noise, heavy equipment, influx of workers and potholes this off-season on the grounds have involved the building of the new Amphitheater. But the Amp project has not accounted for all of the activity. 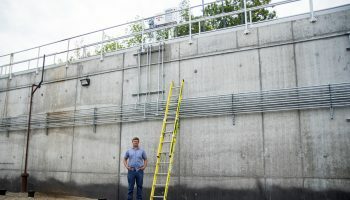 At the southern end of the Institution, the Chautauqua Utility District has continued with the multimillion dollar refurbishment of the Chautauqua sewer plant. 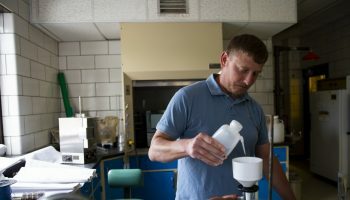 The project, for which Institution property owners authorized up to $8 million in an August referendum three years ago, brings Chautauqua into timely compliance with clean water legislation passed during the Clinton administration. 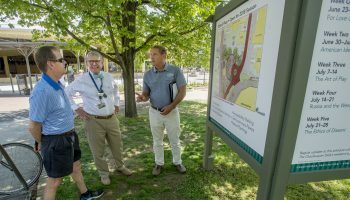 Once the new plant is operational, effluent waste from Chautauqua Institution, the Chautauqua Golf Club and Chautauqua Shores will contain significantly less nitrogen, phosphorus and other pollutants than at present, and will be at lower levels than required under federal standards. 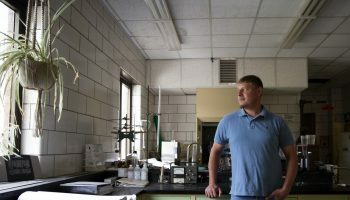 It is estimated that Institution effluent composes up to 25 percent of total effluent into Chautauqua Lake during the summer. CUD supervisor Tom Cherry reports that the new sewer plant project is on schedule and under budget. Cherry said Chautauquans should expect to see no project-related increase in their taxes until at least August 2018. Original estimates put the average household tax increase at around $400 annually for the 30-year life of the bonds that secure the project funding. If serial bond rates stay at or near their historic lows of recent years, the tax hit should be reduced. 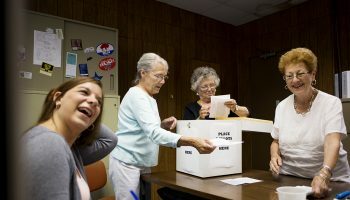 Another factor could reduce taxpayers’ bills. Cherry thinks CUD will qualify, and anticipated meeting the June 23 deadline. 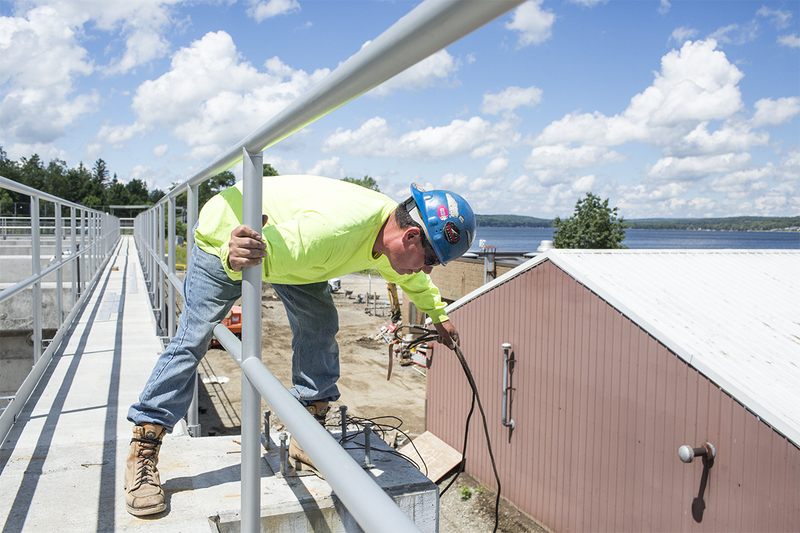 Successful projects could receive up to 25 percent of eligible project costs, so there may be additional tax relief for Chautauquans. No state decisions are expected before the end of the 2017 season. 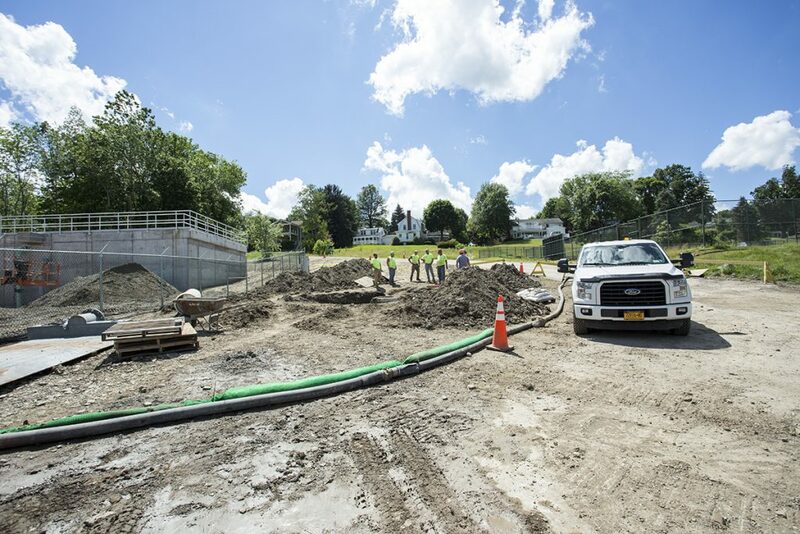 The major visible aspect of the sewer plant project is the new aeration tanks west of the present plant. Less visible from the western approach via Bryant Avenue off Route 394, the stark white concrete walls loom over the southern end of South Lake Drive and from the Coyle Tennis Courts and Sharpe Field. While the bare concrete is likely to remain through the 2017 season, Cherry said by next year, the aeration tanks will be much less obtrusive, camouflaged by plantings. The installation of shrubs and bushes will be facilitated by the Institution’s Gardens and Landscapes department. The community garden next to the new tanks will be open and available this summer. Overall, Cherry said, 80 percent of the project will be complete by the opening of the 2017 season. Most of what remains to be done after this summer concerns instrumentation and a rigorous testing of the new operating systems, many of which are automated. Cherry assured Chautauquans that the existing operating systems would remain fully online until there is every assurance that the new systems are ready. Thus, there will be no interruption or derogation of service.